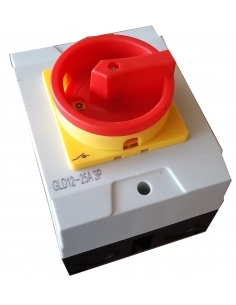 Rotary switch main three-pole disconnector (4 poles) 25 A. mounted in polycarbonate box, with yellow-red drive lockable in O position. IP-65 protection degree. 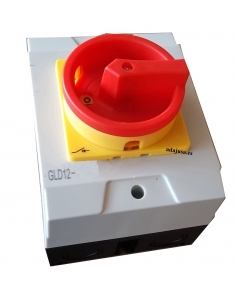 Suitable for interruption of electrical circuits as well as direct starting of motors and main switch in machines. Full metal vacuum filter (container and cartridge) of 3 ". 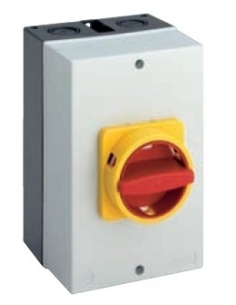 Rotary switch main three-pole disconnector (4 poles) 63 A. mounted in polycarbonate box, with yellow-red drive lockable in O position. 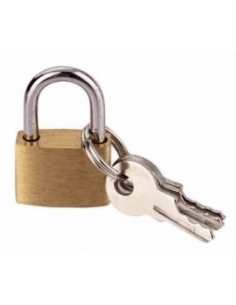 Degree of protection IP-65. 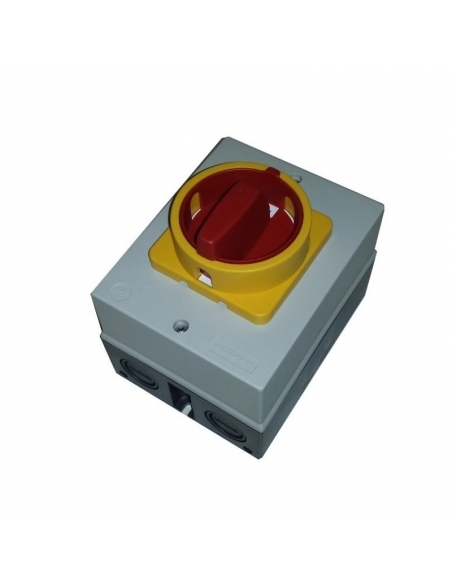 Suitable for interruption of electrical circuits as well as direct starting of motors and main switch in machines. 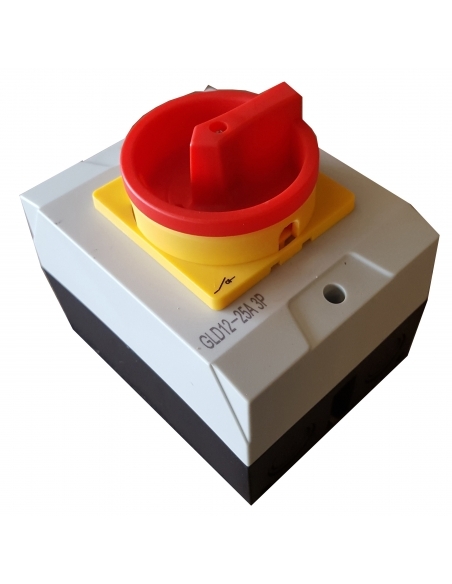 Full metal vacuum filter (container and cartridge) of 3 ".